Often, pigmented lesions are difficult to be classified, which in turn escalates the possibilities of a melanoma diagnosis. Emphasis must be given on exercises that exclude benign melanocytic entities and non-melanocytic lesions, as both has the ability of mimicking melanoma. At the same time, considerations must be made for the lesion to be an epidermotropic metastasis or melanoma variant. Poikilormera, erythema, solar lentigo, broken capillaries, melisma, rosacea, telangiectasia, dyschromia, mottled, and pigmentation are some of the common types of pigmented lesion conditions. Marks that emerge as a result of pigmented lesion can be in the form of freckles, pigment-related birthmarks, pigmented nevi, actinic keratosis, age spots, and hyperpigmentation. One of the key factors augmenting the demand in the pigmented lesion treatment is increasing geriatric population in developed countries. Commonly occurring on face and other parts of the body, aging and frequent exposure to stringent sun rays are some of the leading causes of pigmented lesions, while endogenous and exogenous are also attributed for the skin complication. Presently, a number of therapeutic medications as well as laser treatments are available to treat or remove the marks, and the market for the same is flourishing on the back of growing inclination of the pharmaceutical industry players on minimally invasive procedures. The reliability and nominal to no side-effects are the key benefits of these therapies. According to the American Cancer Society, as many as 87,000 cases of melanoma were expected to be diagnosed alone in the U.S. in the year 2017, and the emphasis is now being escalated on identifying phenotypic traits that can trigger pigmented lesions. This business intelligence report has been compiled by healthcare professionals who are experienced at understand the commerce of the market. Pigmented lesions is a common skin condition among the geriatric population. Mostly visible on the face, it can be visible on other parts of the body as well. Extreme exposure to sun and aging are two leading causes of pigmented lesions. 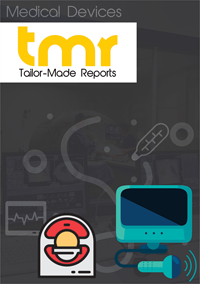 The report provides a brilliant quantitative and qualitative analysis of the pigmented lesion treatment market for its stakeholders. It does so via validated analytical tools and proven research assumptions. A spectrum of medications, therapies, and laser treatment are available today that can effectively treat and clear pigmented lesion marks. Pharmaceutical companies are striving to introduce non-invasive line of treatment that can effectively reduce the visible flaws of the condition. These novel medications are safe, reliable, and easy to administer. In addition, many of the novel therapies are capable of clearing secondary skin issues that arise out of pigmented lesion. Clinical trials and research initiatives by scientific organization and pharma companies are underway to introduce new line of medications and technologically advanced devices with increased efficacy. For example, in 2014, Lutronic Corporation introduced Lutronic XT Q-Switched, doubled frequency laser. The system includes several treatment application such as tattoo removal, pigmented lesion, melisma, skin-rejuvenation, and pore-size reduction. Growth of IPL devices product segment is likely to bode well for pigmented lesion treatment market. IPL devices currently represent close to 50% of the market and is poised for a sound growth rate through 2025. Dermatology clinics are likely to continue to offer attractive opportunities to the pigmented lesion treatment market. Introduction of new line of medication and therapies for pigmented lesion have been the focus of pharmaceutical companies and vendors in the medical aesthetics market. For instance, in 2014, Syneron Medical Ltd. introduced PicoWay picosecond device for pigmented lesion and tattoo removal at the 23rd session of the European Academy of Dermatology and Venereology Congress in Amsterdam. North America is anticipated to remain the leading market for pigmented lesion treatment over the forecast period between 2017 and 2025. Vis-à-vis revenue, the region is anticipated to remain at the forefront among other key regions for pigmented lesion treatment. This is mainly because of high consumer awareness regarding availability of a host of treatment for pigmented lesions. Widespread availability of advanced skin therapies and high spending on therapies that are related to skin and beauty account for the lead position of North America pigmented lesion market. High uptake of skincare therapies among the elderly to look younger and reduce flaws in the skin are key factors behind the growth of this market. Leading companies operating in the global market for pigmented lesion treatment are Alma Lasers Ltd., Sciton Inc., Lynton Lasers Ltd., Strata Skin Sciences Inc., Lumenis Ltd., Lutronic Corporation, Fotona d.d., Solta Medical Inc., EL.En S.p.A, Cynosure Inc., Syneron Medical Ltd., and Cutera Inc. The prominence of these companies is owing to therapeutics and product offerings for pigmented lesion treatment. Each of the companies are profiled for their business attributes of product portfolio, financial standing, recent developments, and SWOTs.